Kit and Clowder is having a challenge for the month of October of Anything Goes!! I am entering this beautiful image from Scrapper's Delights: Honey Anime with Dress. Take a look at all the images on the store and I hope that mine inspires you to create your own! Come and join the challenge!! Scrappers Delights is sponsoring the challenge and there is an awesome prize to win!! The title of this post has a link to Kit and Clowder. She has fabulous hair and you have made a Lovely Creations!!! Thank you for playing along this week at “Anything Goes With A Twist”. I sure hope you had fun!!! See you back very soon to play in another fun challenge. Stunning. 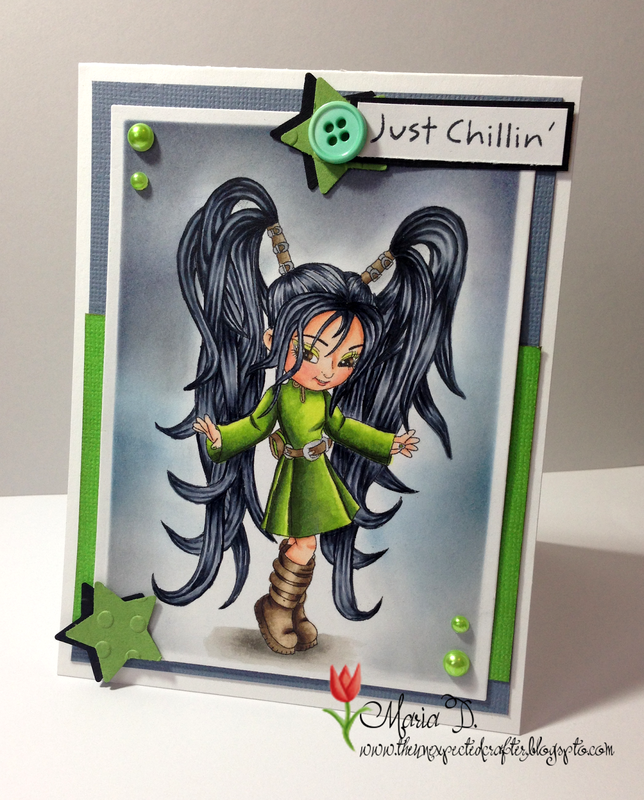 amazing colouring, love the design of the card and the image background.